In this section you will find the ILCA Class Rules, covered in By-Law 1 of the ILCA Constitution. You can either download the 2019 ILCA class rules as a pdf (you can still download the 2018 ILCA class rules if needed) or browse the rules through this website, using the tabs below to navigate between sections of the guide. Part Two tells you what you must do to have a Class legal boat. This includes the Measurement Diagrams. The principle of the Laser Class Rules is that no changes to the boat are allowed unless they are specifically permitted by the class rules. The English text of the Laser Class Rules shall govern. The Class Rules below are valid from 1st January 2019. Cancels all previous rules and interpretations. Note: The class rules published on this website are for convenient access. If there are any discrepancies between the rules shown here and the rules as published in the most recent Handbook of the International Laser Class Association, the text of the Handbook applies. Rule 31 modified to shorten the rule voting process from six months to one month and removing “votes to be sent by post”. Rule 22 Compasses, Electronic Equipment and Timing Devices modified to allow use of digital compasses that are not GPS enabled. New Rule 28 Added to allow boat or body mounted cameras. Rule 3(f)vi modifed to remove restriction on the attachment points of the shock cord inhaul. Rule 17(c) modified to allow for the addition of one cleat and one turning point in the hiking strap support line that are not attached to the hull or hiking strap. Rule 4(f) National Letters: updated wording with instructions for positioning of letters on new MKII sail. Rule 3(h)i sentence added: A splice that does not extend through the nearest traveller eye may be used at the non-free end. Rule 4 new rule added. 4(h) NATIONAL FLAG. If required by the Notice of Race and the Sailing Instructions, a national flag with a nominal size of 567 x 337 mm shall be applied to both sides of the mainsail. For the Standard and Radial sails, flags shall be positioned such that the aft edge of the flag is within 100 and 150 mm of the leech and between the sail numbers and the batten pocket below the sail numbers. The flag shall be approximately parallel with the sail numbers and letters and shall not touch the numbers. For the 4.7 sail, the flag shall be positioned within 100 and 150 mm of the leech but below and within 50 mm of the bottom batten pocket. The flag shall be printed on separate material applied to the sail. The use of permanent ink pens or similar to make a national flag is forbidden. The national flag shall correspond to the national letters. Rule 10 modified: Advertising, including competitor advertising, is permitted in accordance with World Sailing Regulation 20 – Advertising code; except that the sail window shall be kept free of advertising or other graphic material. Rule 14(d) sentence added: Vertical cuts are allowed in the material to allow the material to conform to the shape of the centreboard case. Rule 15 new rule added. 15(k): Padding of uniform thickness may be used in the gap between the rudder blade and rudder head. This padding must cover completely the part of the rudder blade that comes in contact with the rudder head. The thickness of the rudder blade plus the padding must not exceed 20.3mm. Rule 18 new rule added. 18(c): Traveller and Boom mounted mainsheet blocks may be replaced with the “Builder Supplied” blocks shown in the photo. Rule 26(c) modified: Preventative maintenance includes the replacement of fasteners (screws, bolts, nuts, washers and rivets) provided the replacement does not alter the function of the fitting. The tolerances of the Measurement Diagrams shall not be used to alter the position of fittings. In addition the reversing of spars is permitted if the fittings are replaced in accordance with the Measurement Diagrams. Any holes in the top section of the mast shall be permanently sealed with a rivet or similar to maintain the buoyancy of the mast. Fundamental Rule modified: Clarification that Lasers shall be built by World Sailing and ILCA approved manufacturers in adherence to the Construction Manual. Definition of Builder modified: Modified to conform to current agreements with World Sailing. Rule 3(c)i modified: The mainsheet shall be a single line, and be attached to the becket of the aft boom block, and then passed through the traveller block, the aft boom block, boom eye strap, forward boom block and the mainsheet block. After the mainsheet block it shall be knotted, or tied, so that the end of the mainsheet cannot pull through the mainsheet block. The mainsheet shall not be controlled aft of the forward boom block except to facilitate a tack or gybe. Rule 3(c)ii modified: The tail of the mainsheet may also be knotted or tied to either the base of the mainsheet block, the hiking strap, the hiking strap support line, or the hiking strap shock cord. This option, if used, satisfies the knotting requirement in 3(c)i. One compass is permitted mounted on any part of the deck or the cockpit, provided that the hull cavity is not pierced by anything other than the fasteners. Compasses shall not be fitted to inspection ports. Electronic and digital compasses are prohibited (see exception in part d). Any use of electronic equipment not specifically allowed in the rules is prohibited unless modified in the sailing instructions. 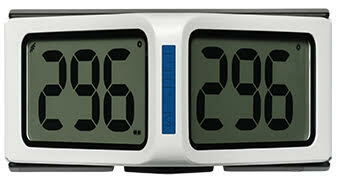 A timing device that includes an electronic compass is permitted as long as it is worn on the wrist. 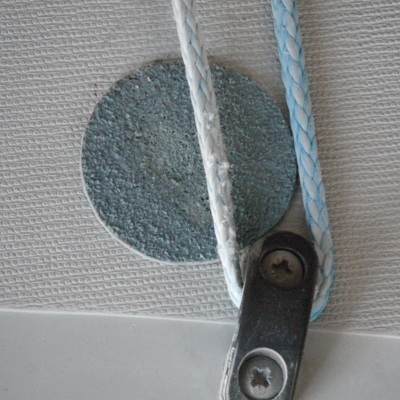 Rule 14(f) modified: A tie line or shock cord shall be attached to the small hole in the upper forward corner of the centreboard, and any of the bow eye, the cunningham fairlead, the “Builder Supplied” deck block fitting and the mast to prevent loss of the centreboard in event of a capsize. The tie line or shock cord may be looped around the bow, but shall not be attached to the gunwale. Attachment can be by knots or loops in the shock cord, and/or tie lines, shackles, clips, hooks or eyes. When the shock cord is attached to the bow eye it may also pass through an attachment to the “Builder Supplied” deck block fitting or the cunningham fairlead. Rule 3(e)ii modified: The cunningham control line shall be securely attached to any of the mast, gooseneck, mast tang, swivel or shackle that may be used to attach the vang cleat block to the mast tang, the cunningham attachment point on the “Builder Supplied” vang cleating fitting or the becket of an optional becket block fixed on the cunningham attachment point on the “Builder Supplied” vang. Rule 3(f)vi modified: A shock cord for use as an inhaul may be attached between the outhaul cleat and clew of the sail, the clew tie down, the optional block at the clew, the quick release system or through the clew of the sail and to an optional block in the primary control line. Sentence added to Rule 3(g)i: An additional outhaul extension tie line may be added between the clew of the sail and the outhaul or the quick release system. Rule 21 modified: Clips, ties or bags to stow or secure safety or other equipment may be used on the deck, in the cockpit, around the mast or boom. Rule 24 modified: Tape and Line. The use of flexible adhesive tape or similar or line is permitted to secure shackle pins and clips, and to bind sheets, control lines and rigging, except that tape or line shall not be used to construct new fittings or modify the function of existing fittings. New Rule 27: The sail may be reefed by rolling the sail around the mast 1 or 2 times. The Laser is a strict one-design dinghy where the true test, when raced, is between helmspersons and not boats and equipment. All Lasers shall have an identification number moulded into the deck under the bow eye or into the transom, which shall be either the sail number or a unique production number. Lasers with sail numbers from 148200 shall display a unique World Sailing Building Plaque that has been purchased by the builder from the International Laser Class Association. The plaque shall display the sail number of the boat issued by the International Laser Class Association and shall be permanently fixed in the rear of the cockpit by the builder. Sails manufactured after 1 January 2001 shall have attached near the tack of the sail an ILCA authorized sailmaker button purchased from the International Laser Class Association. Standard MKII sails shall have orange buttons and Radial, 4.7 and Standard MKI (cross-cut) sails shall have red buttons. The Measurement Diagrams are part of these Rules. The spars, sails, battens, centreboard, rudder, and the placing of fittings and equipment shall conform to the Measurement Diagrams. The measurement tolerances are intended to allow for necessary manufacturing tolerances and shall not be used to alter the design. 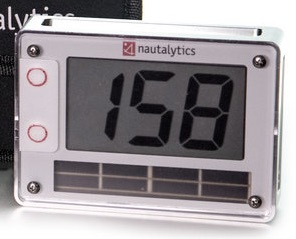 In the case of a dispute alleging non-compliance with the Construction Manual, the matter, together with any relevant information, shall be referred to the Chief Measurer of the International Laser Class Association at the International Office who shall give a final ruling in consultation with a World Sailing Technical Officer. A sample of 10 other boats shall be taken and measured using identical techniques. The dimensions of the disputed boat shall be equal to, or between the maximum and minimum dimensions obtained from these 10 boats. If the boat in question is outside these dimensions the matter, together with any relevant information, shall be referred to the Chief Measurer of the International Laser Class Association at the International Office, who shall give a final ruling. 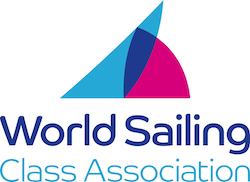 If any of the dimensions of the sample are considered to be unusual, all relevant information shall be referred by the Class Association to World Sailing. The Cunningham, outhaul, vang, traveller and mainsheet are the Control Line Systems. The cunningham, outhaul and vang Control Line Systems may include more than one Control Line as allowed in Rules 3(d)i, 3(e)i and 3(f)i.Each Control Line shall be a single piece of uniform thickness and material. A line is a Control Line if any of the line moves along its axis during adjustment of the Control Line System. A line that exclusively attaches items together is a Tie Line. An “Optional” fitting is a fitting or block that replaces, or is additional to, a Standard Fitting as allowed by these Rules. A “Builder Supplied” fitting replaces a Standard Fitting, and is supplied only by the Builder, as allowed by these Rules. A “Turning Point” is a sheave (pulley) in a block, a rope loop, a rope loop reinforced with a thimble, the outhaul fairlead, a shackle, part of a fitting, sail cringle, mast or boom around which a moving Control Line passes, except that the cunningham fairlead, the “Optional” blocks attached to the “Builder Supplied” deck block fitting, the cunningham clam cleat, and the “Optional” cam cleats attached to the “Builder Supplied” deck cleat base will not be counted as “Turning Points” in Rules 3(e)i and 3(f)i. When an “Optional” block, or shock cord is attached to a fitting, line, mast, boom or the sail, it may be attached either with or without a shackle, clips, balls, hooks and/or a tie line. Control lines shall be natural or synthetic rope. Control lines shall be of uniform thickness, but may vary in thickness for the purpose of a splice at the load bearing attachment point. In a control line system where more than one control line is permitted, lines of different diameter shall not be joined together. “Optional” blocks allowed in cunningham, vang or outhaul control systems, shall have sheaves of diameter not less than 15 mm and not more than 30 mm. Thimbles allowed to reinforce rope loops used as “Turning Points” in the cunningham, vang and outhaul control line systems shall not exceed 40mm in length. Only single or double “Optional” blocks shall be used. A single block means a block with one sheave; a double block means a block with two sheaves. “Optional” blocks may include a becket, a swivel and/or a shackle. 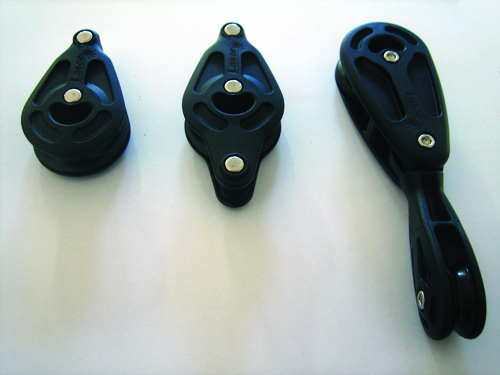 The fairleads and clam cleats may be replaced in the same position with an identical size and shape fitting. Clam cleats may include a through hole attachment point. 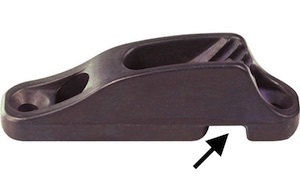 The plastic cunningham fairlead may be replaced with one of the same type which has a stainless steel insert, and has the same screw hole positions. The cunningham fairlead may be replaced in the same position with a “Builder Supplied” deck block fitting which may have one or two single “Optional” blocks attached. “Optional” blocks shall not be attached to the cunningham fairlead. Either the cunningham fairlead alone, or the “Builder Supplied” deck block fitting with single “Optional” block(s) attached may be used to lead the cunningham and/or outhaul control lines to the deck cleat(s). The “Optional deck blocks may be supported with a spring, ball, plastic tube or tape. The cunningham clam cleat may be replaced in the same position with a “Builder Supplied” deck cleat base for attaching two “Optional” cam cleats (cunningham and outhaul) which have fixing hole centres of 27 mm. The two cam cleats may include a bridge and a fairlead with or without rollers on the aft exit. Control lines shall not be tied to any of the cunningham fairlead, the “Builder Supplied” deck block fitting and the “Optional” blocks attached to it, the cunningham clam cleat or the “Builder Supplied” deck cleat base and the “Optional” cam cleats, cleat bridge and fairleads attached to it. 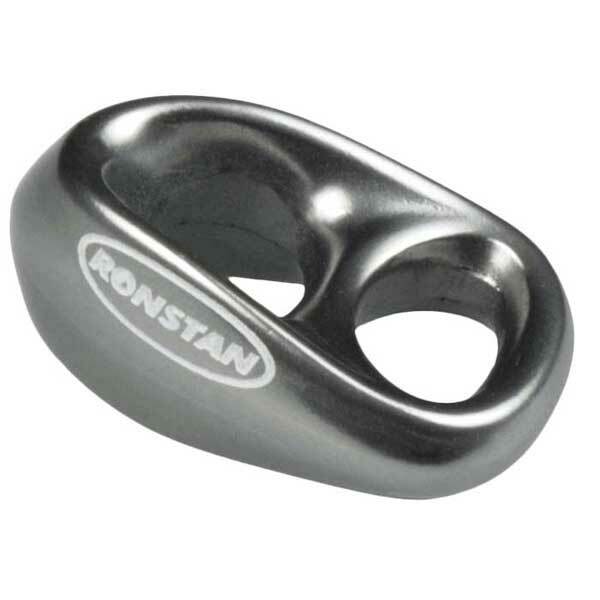 The free ends of different control lines (except mainsheet) may be tied together and/or tied to any deck fitting or the centreboard, the centreboard handle or a rope loop used to attach a retaining line. Free ends of control lines shall not be tied to shock cord (except mainsheet). To secure the mast in the event of a capsize, a loose retention line or shock cord (that will allow 180 degree plus mast rotation) shall be tied/ attached between the cunningham fairlead or the deck block fitting and the mast tang or gooseneck. Clips, hooks, shackles and balls may be used to attach the retention line. Reference points (marks) may be placed on the deck, spars and ropes. The mainsheet shall be a single line, and be attached to the becket of the aft boom block, and then passed through the traveller block, the aft boom block, boom eye strap, forward boom block and the mainsheet block. After the mainsheet block it shall be knotted, or tied, so that the end of the mainsheet cannot pull through the mainsheet block. The mainsheet shall not be controlled aft of the forward boom block except to facilitate a tack or gybe. The tail of the mainsheet may also be knotted or tied to either the base of the mainsheet block, the hiking strap, the hiking strap support line, or the hiking strap shock cord. This option, if used, satisfies the knotting requirement in 3(c)i. The mainsheet block may be replaced by any type of single block with or without an internal or attached jamming device, and mounted in the position shown on the measurement diagram. The block may be supported by a spring, ball, plastic tube or tape. One mainsheet clam or cam cleat of any type may be mounted on each side deck in the position shown on the measurement diagram. The vang cleat block shall be attached directly to the mast tang, or to an “Optional” swivel that shall be attached to the mast tang. A shackle may be used to attach the vang cleat block or the swivel to the mast tang. 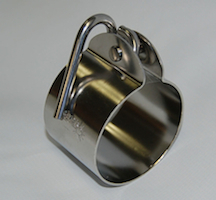 The swivel, shackle or swivel/shackle combination shall not exceed 80 mm in length when measured under tension. The vang key block may be fitted with a spare key. The key may be straight or bent, and it may be held in the key way with either tape, elastic or velcro. The vang key block may be replaced with an “Optional” vang key block which may have a spare key. 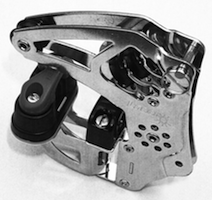 “Optional “single blocks may be attached to one or both sides of the vang cleat block, using a clevis pin or bolt through the attachment hole in the vang cleat block. The mast tang hole may be drilled to take a larger pin. The vang cleat block may be replaced with a “Builder Supplied” vang cleating fitting which incorporates “Turning Points” and a cam cleat. The fitting shall be attached directly to the mast tang. The cunningham system shall consist of a maximum three control lines, “Optional” blocks or loops for purchase with a maximum of 5 “Turning Points”. The cunningham control line shall be securely attached to any of the mast, gooseneck, mast tang, swivel or shackle that may be used to attach the vang cleat block to the mast tang, the cunningham attachment point on the “Builder Supplied” vang cleating fitting, or the becket of an optional becket block fixed on the cunningham attachment point on the “Builder Supplied” vang. The cunningham control line shall pass through the sail tack cringle as a moving line. The sail tack cringle shall be at least one of the maximum of 5 “Turning Points” permitted by Rule 3(e)i. Additional purchases may be obtained using rope loops, “Optional” blocks and using any of the boom, sail tack cringle, gooseneck fitting, mast tang, shackle attaching vang cleat block or swivel, the swivel, or the cunningham attachment point on a “Builder Supplied” vang cleating fitting. The cunningham control line shall pass only once through the cunningham fairlead or “Optional”single block attached to the “Builder Supplied”deck block fitting and shall pass only once through the cunningham clam cleat or “Optional” cam cleat attached to the “Builder Supplied” deck cleat base. The outhaul system shall consist of a maximum of two control lines, “Optional” blocks or loops for purchase and a maximum of 6 “TurningPoints”. The outhaul control line shall be attached to either the end of the boom, the outhaul fairlead, the sail, or a quick release system, and shall pass through the boom outhaul fairlead as a moving line at leastonce. The outhaul fairlead shall be at least one of the maximum of 6 “Turning Points” permitted by Rule 3(f)i. Additional purchases may be obtained by forming rope loops in the line or adding “Optional” blocks to the line, and/or using the outhaul fairlead,the outhaul clam cleat, the boom, the mast or gooseneck fitting. 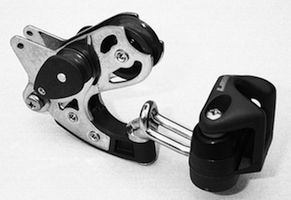 An “Optional’ block may be attached to the outhaul fairlead, provided Rule 3(f)ii is also satisfied.An “Optional” block may be attached to the outhaul clam cleat. An “Optional” block may be attached to the clew of the sail, or to a quick release system, or be part of a quick release system. One or two “Optional” blocks may be attached to the gooseneck fitting, or at the mast/gooseneck junction with their “Turning Points” not more than100mm from the center of the gooseneck bolt (the gooseneck may be inverted). The blocks in this rule may also be attached to the gooseneck with a bolt or a pin. A shock cord may be used as an inhaul on the clew. Shock cord and/or rope loops (rope loops maybe part of the control line) can be tied around the boom and/or the outhaul control lines to retain the outhaul lines close to the boom. When led to the deck, the outhaul control line shall pass only once through the cunningham fairlead or the outhaul “Optional” single block attached to the “Builder Supplied” deck block fitting and shall pass only once through the“Optional” cam cleat attached to the “Builder Supplied” deck cleat base. The boom outhaul clam cleat shall not be removed. The clew of the sail shall be attached to the boom by either a tie line or a webbing strap with or without a fastening device wrapped around the boom and through the sail cringle, a quick release system attached to a tie line or soft strap wrapped around the boom, or a “Builder Supplied” stainless steel boom slide with quick release system. An additional outhaul extension tie line may be added between the clew of the sail and the outhaul or the quick release system. If the clew tie down is a tie line, it may be passed through solid balls with holes and/or tubes to reduce friction. The traveller shall be a single line. It shall be rigged as a simple closed loop through the traveller eyes and the free end passing through the traveller cleat. A splice that does not extend through the nearest traveller eye may be used at the non-free end. For Lasers up to sail number 148199, the sail number is a number moulded into the deck under the bow eye or into the transom, or displayed on a plate attached to the rear of the cockpit. For Lasers with sail numbers from 148200, the sail number is the number displayed on a unique World Sailing Building Plaque attached to the rear of the cockpit. Width 200 mm (excluding digit 1). Space between adjoining numbers minimum 50 mm. Sail numbers shall be regularly spaced. Numbers on the starboard side shall be placed above those on the port side. Each sail number digit shall be of one colour only. The sail numbers shall be solid and easy to read. After 1st March 1998 – sail numbers and national letters shall only be adhesive numbers. The use of permanent ink pens or similar to mark numbers and national letters on the sail is prohibited. For sails with numbers above 153000 and sails purchased after 1st June 1993 the sail numbers shall be glued or sewn on each side of the sail, with the bottom of the numbers on the starboard side of the sail placed along a line parallel to and 400 mm (+ or – 12 mm) below the seam at the middle batten pocket. The bottom of the numbers on the port side of the sail shall be placed on a line 400 mm (+ or – 12 mm) below and parallel to the bottom of the numbers on the starboard side of the sail. The starboard sail numbers shall commence 100 mm (+ or – 12 mm) from the leech and the port side numbers shall end 100 mm (+ or – 12 mm) from the leech. (Refer to sail number application diagram on pages 25-28 of the Handbook for procedure for applying sail numbers & letters). Sail numbers from 131000, sails purchased after 1st June 1993 and new sails stamped “New Numbers” shall have numbers that are clearly visible with the last four digits of the number in one dark, distinctive colour or black and any preceding numbers in a different, contrasting, distinctive colour (red is recommended). when the hull and/or sail are provided by the organisers for an event and after approval of the International Laser Class Association, the numbers on the sail used for that event only may be single, double or triple digit numbers. in the case of a Laser borrowed or chartered for a specific event, and after written approval from the Race Committee, a competitor may use a sail with numbers that are different to the sail number allocated to the hull. The sail number used shall be the sail number allocated to the competitor’s own Laser. When the competitor does not own a Laser, the number used on the sail shall be the number of the Laser chartered. when a sail is damaged during a series and Rule 7(c) applies the sail number may contravene Rules 4(a) and (e)ii only when written permission for a sail number change is given by the Race Committee. The letters on the starboard side of the MKI sail shall be placed along the top edge of the seam below the bottom batten pocket (+ or -12 mm) for MKII sail on a Base Line 400mm (+ or 12mm) below the bottom batten pocket and on the port side of the sail along a line 400 mm (+ or – 12 mm) below and parallel to the letters on the starboard side. The starboard letters shall commence 100 mm (+ or – 12 mm) from the leech and the port letters shall finish 100 mm (+ or – 12 mm) from the leech. The letters shall all be the same colour, which may be one of the colours of the digits of the sail number, or another distinctive colour. National Letters shall be required at all World Championships, Regional Championships and events described as international events in the notice of race or sailing instructions. National Letters may be required at any other regatta by the notice of race or sailing instructions. World or regional (continental) championships. Events described as “international events” by the Notice of Race or Sailing Instructions. Other events that prescribe in the Notice of Race or Sailing Instructions that women competitors should be identified. The minimum size and approximate position shall comply with diagram “Red Rhombus“. The rhombus may be retained for racing in other events. If required by the Notice of Race and the Sailing Instructions, a national flag with a nominal size of 567 x 337 mm shall be applied to both sides of the mainsail. For the Standard and Radial sails, flags shall be positioned such that the aft edge of the flag is within 100 and 150 mm of the leech and between the sail numbers and the batten pocket below the sail numbers. The flag shall be approximately parallel with the sail numbers and letters and shall not touch the numbers. For the 4.7 sail, the flag shall be positioned within 100 and 150 mm of the leech but below and within 50 mm of the bottom batten pocket. The flag shall be printed on separate material applied to the sail. The use of permanent ink pens or similar to make a national flag is forbidden. The national flag shall correspond to the national letters. No mast which has a permanent bend shall be used at any time. In alteration of RRS 43.1 (b) the maximum total weight of competitors’ clothing and equipment shall be 9 kg (for Laser Radial and 4.7 rigs please see part 4). Competitors shall not wear or carry non floating clothing or equipment which in total weight exceeds 500 grammes dead weight except protective sailing clothing. For the purposes of weighing clothing and equipment as required by RRS Appendix H three coat hangers may be used instead of a rack. The Laser shall be raced with either one or two persons aboard. When two persons race a Laser they shall race together throughout the entire race or series of races without alternating at the helm. No part of the helmsman or crew may be placed forward of the mast while racing. In a series of races a sail shall not be changed for another unless written permission for an individual change is obtained from the race committee. Written permission shall only be given in the event of a sail damaged beyond repair or damaged to the extent that it cannot be repaired before the start of the next race in a series. In the event of a change the damaged sail shall not be used again in that series even if it is subsequently repaired. For the purpose of this rule, a series is deemed to be two or more individual races which count towards an overall points total. The use of slowly soluble applications which might alter the boundary layer characteristics of the hull are prohibited. Advertising, including competitor advertising, is permitted in accordance with World Sailing Regulation 20 – Advertising code; except that the sail window shall be kept free of advertising or other graphic material. Waxing, polishing and fine wet and dry sanding of the hull is permitted, provided the intention and effect is to polish the hull only. Polishing/sanding shall not be used to remove mould imperfections. Sanding and refinishing of the hull with the intention or effect to lighten the hull or improve the performance, finish, materials or shape beyond the original is not permitted. A retaining line may be attached to the transom drain bung and the gudgeon. A self-bailing device as supplied only by the builder may be added. The bailer may be sealed with tape, filler or glue along its edge where it joins the hull and at the screw hole. Filling the screw hole level with the flat surface of the bailer is permitted. Fairing the flat surface of the bailer to the hull shape or changing the profile of the bailer is not permitted. The drain bung may be removed from the self-bailer, and the self bailer opening pin may be secured to the cockpit floor with self adhesive plastic tape. The builder-supplied o-rings may be substituted with non builder-supplied alternatives provided the basic function of the bailer is unchanged. A rope handle passing through not more than two holes of maximum diameter 12.5 mm above a line drawn from the bottom of the centreboard stop, parallel to the top of the centreboard is permitted. A plastic/rubber tube and/or tape are permitted on the handle of the centreboard. The trailing edge of the centreboard may be sharpened by sanding the blade between the trailing edge and a line 100 mm parallel to the trailing edge, provided the distance between the leading edge and the trailing edge of the blade is not reduced. Surface refinishing of the centreboard is permitted provided the original shape, thickness and characteristics are not altered. One layer of any material of maximum 2mm thickness and of a maximum size of 30mm x 30mm may be applied at the top front corner of the centreboard case. Vertical cuts are allowed in the material to allow the material to conform to the shape of the centreboard case. A wood centreboard shall not be used on a hull that was originally supplied with a non wood centreboard. A tie line or shock cord shall be attached to the small hole in the upper forward corner of the centreboard, and any of the bow eye, the cunningham fairlead, the “Builder Supplied” deck block fitting and the mast to prevent loss of the centreboard in event of a capsize. The tie line or shock cord may be looped around the bow, but shall not be attached to the gunwale. Attachment can be by knots or loops in the shock cord, and/or tie lines, shackles, clips, hooks or eyes. When the shock cord is attached to the bow eye it may also pass through an attachment to the “Builder Supplied” deck block fitting or the cunningham fairlead. 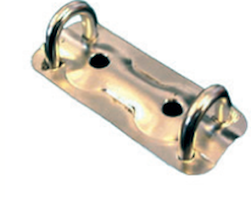 The components of the “Builder Supplied” centreboard stopper may be secured together by glue, screws, bolts, nuts and washers, provided the original shape and dimensions are not reduced. The trailing edge of the rudder blade may be sharpened by sanding the blade between the trailing edge and a line 60 mm parallel to the trailing edge, provided the distance between the leading edge and the trailing edge of the blade is not reduced. Surface refinishing of the rudder blade is permitted provided that the original shape, thickness and characteristics are not altered. The rudder blade and/or rudder head holes may be enlarged up to a maximum diameter of 10mm. The rudder bolt and bush set may be replaced with a larger diameter bolt to fit this hole. The bolt head, nut and washers shall fall within a 20mm diameter circle. To achieve the maximum 78 degree rudder angle relative to the bottom edge of the rudder head, the leading edge of the blade may be cut away where it touches the spacing pin. To restrict the rudder angle to maximum 78 degrees relative to the bottom edge of the rudder head, the lower forward spacing pin may be wound with flexible adhesive tape. The rudder pintles may be fitted with spacers to lift the rudder head to allow the tiller to clear the deck at the transom. The rudder downhaul line may have multiple purchases. A hole may be drilled in the top rudder pintle and a pin or clip inserted in the hole to prevent loss of the rudder. A wood rudder shall not be used on a hull that was originally supplied with a non wood rudder. The rudder shall be maintained in the full down position except whilst racing in water less than 1.5m deep unless otherwise specified in the sailing instructions. Padding of uniform thickness may be used in the gap between the rudder blade and rudder head. This padding must cover completely the part of the rudder blade that comes in contact with the rudder head. The thickness of the rudder blade plus the padding must not exceed 20.3mm. shall be capable of being removed from the rudder head. shall be fitted with a cleat, hook, pin or eye to secure the downhaul. shall, except for normal wear caused by the traveller rope, be straight along its topmost edge between a point 30 mm in front of the forward edge of the rudder head and the cockpit end of the tiller. The tiller may be fitted with an “anti wear” strip or tube of not more than 200 mm in length placed above the level of the straight edge required by 16 (a) iii and only where the traveller crosses the tiller. The use of a tiller retaining pin is optional. The hiking strap may be substituted with any type of non-stretch material and it may be padded. 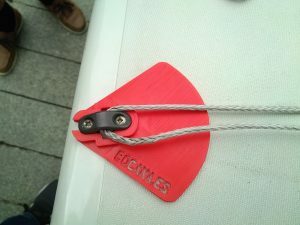 The hiking strap may be fixed to the cockpit at the forward end by wrapping the strap around the mainsheet block plastic pressure plate or by using both the centreboard friction attachment plate and the mainsheet block plastic pressure plate. The hiking strap supporting line between the aft end of the hiking strap and the eye straps on the aft face of the cockpit may be rigged in any manner so that the hiking strap is fixed or adjustable and may include one cleat; one ring, thimble, or shackle; or both. A shock cord may be attached between the aft end of the hiking strap and to either the traveller cleat, or the hiking strap eye straps at the aft end of the cockpit. A metal sleeve supplied by the builder of maximum length 900 mm may be fixed inside the boom. The sleeve shall not extend aft of the point 1220 mm from the front end of the boom (including plug). The stainless steel mainsheet eye strap between the two blocks on the boom may be replaced with a soft strap. The maximum width of the soft strap shall be 26mm. 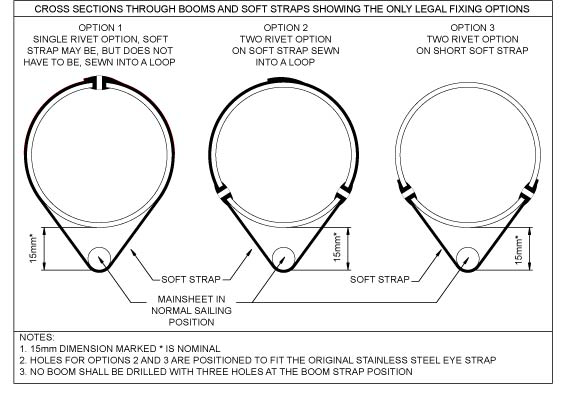 The soft strap shall only be fixed to the boom using the holes drilled by the builder as shown in the diagram below. Traveller and Boom mounted mainsheet blocks may be replaced with the “Builder Supplied” blocks shown in the photo. To prevent abrasion of the mast step, tubes or collars of uniform thickness not exceeding1 mm in total may be placed around the entire circumference of the lower mast or the mast step cavity. A tube or collar shall not extend more than 10 mm above deck level. In addition, a disc of uniform thickness not exceeding 1mm in thickness may be placed in the bottom of the mast step. The mast of mast cavity may be lubricated. Tape or other bushing material may be applied to both the plastic end cap, the collar of the upper mast and the upper mast to ensure a snug fit. The tape or bushing material may only be used on that portion of the plastic parts that actually slide into the lower section and/or between the upper mast and the collar and it shall be a uniform thickness around the circumference. Taping or bushing material above the collar to fair the collar into the mast is prohibited. Flexible adhesive tape may be applied to the outside of the joint of the upper and lower mast sections to a limit of 40mm above and below the joint to prevent rotation of the mast sections at the joint. Inspection ports not exceeding 153 mm internal diameter may be installed on the deck or in the cockpit to provide access to the hull cavity, provided that any inspection port is fitted with watertight threaded covers (any bayonet mounted parts are deemed to be not threaded). Storage receptacles are permitted underneath hatch covers. Clips, ties or bags to stow or secure safety or other equipment may be used on the deck, in the cockpit, around the mast or boom. compasses using only magnetic input are permitted. 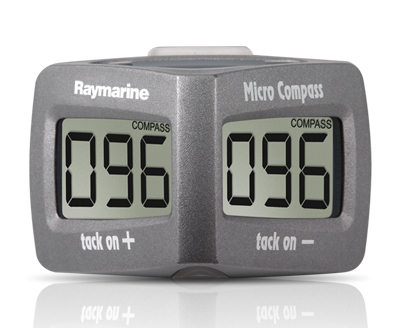 A timing device and electronic compass may be integrated in the same device. rules are modified by the sailing instructions. Wind indicators may be attached as desired provided the sail is not cut and the buoyancy qualities of the hull and mast are not impaired. Ribbons, wool or similar wind indicators may be attached to the sail. The use of flexible adhesive tape or similar or line is permitted to secure shackle pins and clips, and to bind sheets, control lines and rigging, except that tape or line shall not be used to construct new fittings or modify the function of existing fittings. Any additional equipment required by an international, national or other governing authority for safety purposes may be fitted or carried provided it is not used in contravention of the FUNDAMENTAL RULE. Preventative maintenance includes the replacement of fasteners (screws, bolts, nuts, washers and rivets) provided the replacement does not alter the function of the fitting. The tolerances of the Measurement Diagrams shall not be used to alter the position of fittings. In addition the reversing of spars is permitted if the fittings are replaced in accordance with the Measurement Diagrams. Any holes in the top section of the mast shall be permanently sealed with a rivet or similar to maintain the buoyancy of the mast. Sail panels and luff sleeves shall not be replaced. Any flotation equipment (flotation foam blocks or Cubitainer inserts) that is defective or has been removed shall be replaced by fully air filled, builder supplied, Cubitainer inserts which shall have an equal volume to the defective or removed flotation equipment. The use of lubricants is unrestricted except that they shall not be used on the hull (below the gunwales). The sail may be reefed by rolling the sail around the mast 1 or 2 times. is not pierced by anything other than the fasteners. The Laser Radial sail and bottom mast as supplied by an approved Builder shall conform to the Measurement Diagrams which form part of these Rules. The Laser Radial rig may be used in any Laser regatta subject to the conditions in 29 (c) and any restrictions in the Notice of Race and Sailing Instructions. The Laser Radial rig may only be used in District Championships and higher level regattas when prescribed in the Notice of Race and Sailing Instructions. In a series of races a Laser Radial rig shall not be changed for a Laser or Laser 4.7 rig. A series is 2 or more races that count towards an overall points total. Rules 4(c) and (f) shall be amended to read as follows:4(c) For Laser Radial sails with numbers above 153000 and sails purchased after 1st June 1993 the sail numbers shall be glued or sewn on each side of the sail, with the bottom of the numbers on the starboard side of the sail placed along a line parallel to and 400 mm (+ or – 12 mm) below the underside of the middle batten pocket. The bottom of the numbers on the port side of the sail shall be placed on a line 400 mm (+ or – 12 mm) below and parallel to the bottom of the numbers on the starboard side of the sail. The starboard sail numbers shall commence 100 mm (+ or – 12 mm) from the leech and the port side numbers shall finish 100 mm (+ or – 12 mm) from the leech. The top of the letters on the starboard side of the sail shall be placed on the bottom edge of the bottom batten pocket and its extension (+ 12 mm). The starboard letters shall commence 100 mm (+ or – 12 mm) from the leech. The bottom of the letters on the port side shall be placed on a line 400 mm (+ or – 12 mm) below and parallel to the bottom of the letters on the starboard side of the sail. The port letters shall finish 100 mm (+ or – 12 mm) from the leech. The letters shall all be the same colour, which may be one of the colours of the digits of the sail number, or another distinctive colour. 6(a) For the purposes of RRS 43.1 (b) the maximum total weight of competitors clothing and equipment shall be 9 kg. The Laser 4.7 sail and bottom mast as supplied by an approved Builder shall conform to the Measurement Diagrams which form part of these Rules. The Laser 4.7 rig may be used in any Laser regatta subject to the conditions in 30 (c) and any restrictions in the Notice of Race and Sailing Instructions. The Laser 4.7 rig may only be used in District Championships and higher level regattas when prescribed in the Notice of Race and Sailing Instructions. In a series of races a Laser 4.7 rig shall not be changed for a Laser or Laser Radial rig. A series is 2 or more races that count towards an overall points total. Width 150 mm (excluding digit 1). Note: Optimist Class legal numbers conform to this rule. The maximum height to conform is 240mm. Space between adjoining numbers / letters and rows minimum 30 mm. Each number digit shall be one colour only. The numbers shall be solid and easy to read.4(c) For Laser 4.7 sails with numbers above 153000 and sails purchased after 1st June 1993 the sail numbers shall be glued or sewn on each side of the sail, with the bottom of the starboard numbers placed along the top edge of a line placed 270mm (0 to +12mm) below and parallel to the seam below the bottom edge of the middle batten pocket. The port side numbers shall be placed along a line 270mm below and parallel to the bottom of the starboard side numbers. The starboard side numbers shall commence 100 mm (+ or – 12 mm) from the leech and the port side numbers shall end 100 mm (+ or – 12 mm) from the leech. (Refer to sail number application diagram for procedure for applying numbers & letters)4(f) National letters, if required, shall conform to the same type, size, spacing and requirements as Laser 4.7 numbers (refer rule 30 (e) 4 (b)). For all Laser 4.7 sails with numbers from 190000, and for sails purchased from 1 April 2006 onwards the bottom of the starboard side letters shall be placed along a line 270mm (+12mm) below and parallel to the bottom of the numbers on the port side and start 100mm (+ or –12mm) from the leech. The bottom of the letters on the port side shall be placed along a line 270mm (+12mm) below and parallel to the bottom of the letters on the starboard side and finish 100mm (+ or –12mm) from the leech. For Laser 4.7 sails with numbers under 190000 that were purchased before 1 April 2006, they may be placed as above or along the same line, 270mm below and parallel to the bottom of the numbers on the port side, on opposite sides of the sail. The letters on the port side shall be closer to the leech than those on the starboard side, with the port side letters finishing 100mm (+ or – 12mm) from the leech. National Letters shall be required at all World Championships, Regional Championships and events described as international events in the notice of race or sailing instructions. National Letters may be required at any other regatta by the notice of race or sailing instructions. The letters shall all be the same colour, which may be one of the colours of the digits of the sail number, or another distinctive colour. Rule 5 shall be amended to read as follows: 5 The Laser 4.7 bottom mast is supplied with a pre-bend aft of approximately 5 degrees. The pre-bend shall not be increased or decreased. No top mast that has permanent bend in it shall be used at any time. 6(a) In alteration of RRS 43.1 (b) the maximum total weight of competitors clothing and equipment shall be 8 kg. Sailors may apply anti-abrasion material at the traveller fairleads to prevent wear of the deck as a form of preventative maintenance under rule 26(a). A sheaveless block, such as the “shock block” or equivalent, will be considered a ring for the purpose of rule 17(c). Previous rule interpretations have been incorporated into the Class Rules.